The Praxis II tests are a battery of tests designed to ensure that teachers are qualified to teach in their preferred field. For those wishing to teach Social Studies for grades four through eight in the state of Pennsylvania, you must pass the 90 question Praxis II Pennsylvania Grades 4-8 Subject Concentration: Social Studies test. 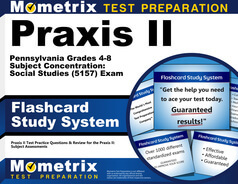 We at Mometrix have crafted the Praxis II Pennsylvania Grades 4-8 Subject Concentration: Social Studies practice test to assist you in this endeavor. The free Praxis II Pennsylvania Grades 4-8 Subject Concentration: Social Studies practice test will cover the same content as the actual test. Content such as: United States History; World History; Government/Political Science; Economics; as well as Geography. When taking the actual test, you will have one and a half hours to complete every question. Mometrix Academy is a completely free resource provided by Mometrix Test Preparation. If you find benefit from our efforts here, check out our premium quality Praxis II Pennsylvania Grades 4-8 Subject Concentration: Social Studies (5157) study guide to take your studying to the next level. 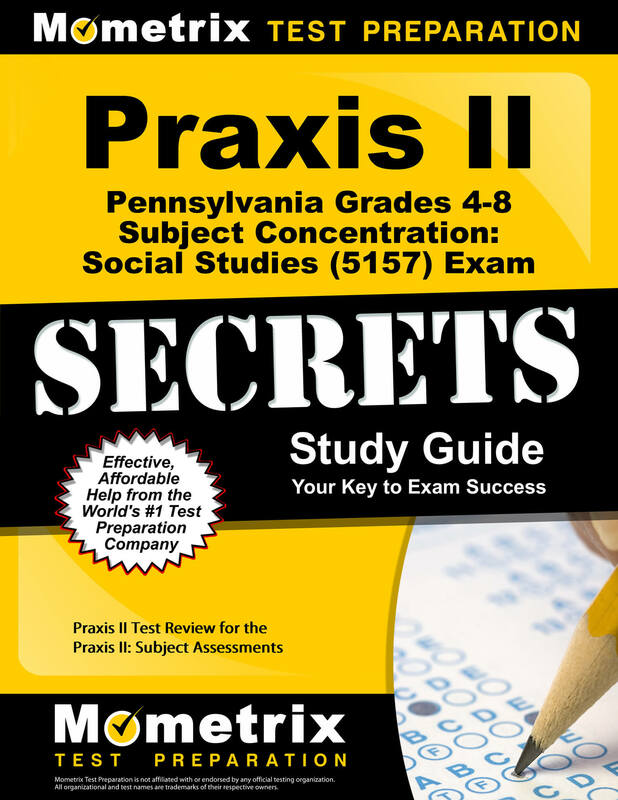 Just click the Praxis II Pennsylvania Grades 4-8 Subject Concentration: Social Studies (5157) study guide link below. Your purchase also helps us make even more great, free content for test-takers.